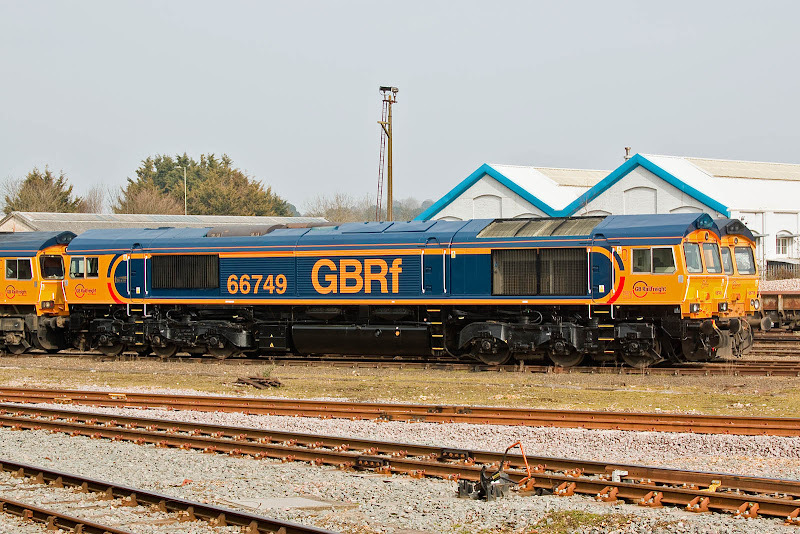 66749 was released from Eastleigh works on 8th March following repaint from grey into GBRf colours. 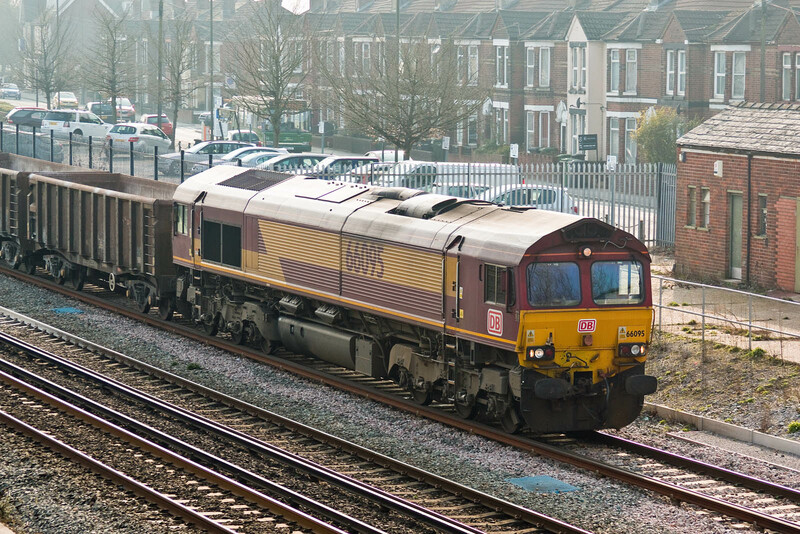 66419 is still in a basic DRS scheme, but labelled for Freightliner, seen when it arrived from Stoke Gifford in convoy with 66585 The Drax Flyer and 66507. 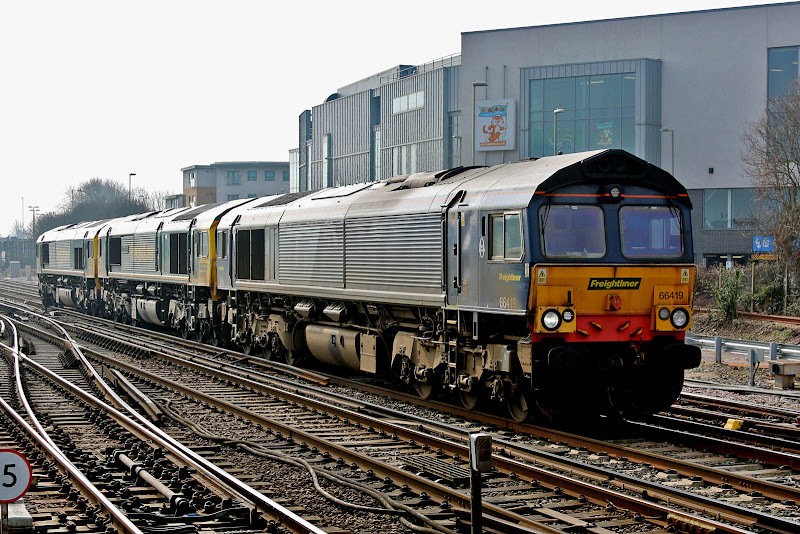 66083 rolls through platform 2 with 4O39 10:39 Morris Cowley - Eastern Docks. 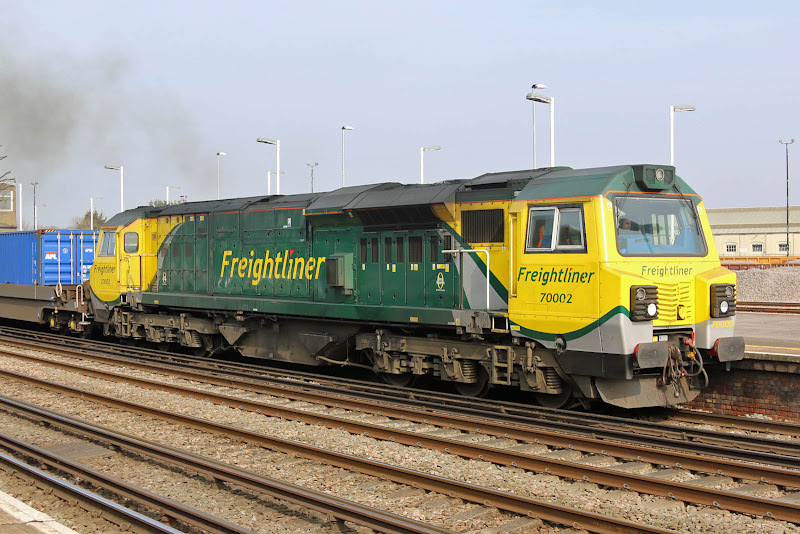 70002 powers out of the station with 4O54 from Leeds. 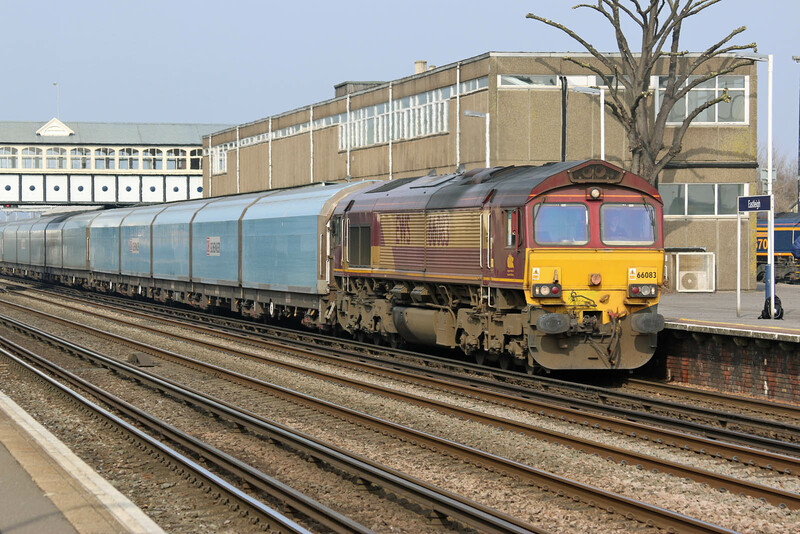 66095 was working from Southampton Up Yard to Wembley with empties for eventual return to Dowlow Briggs Sidings.